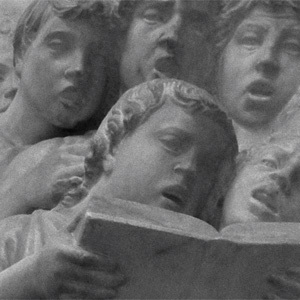 DEMO: 1 - hymnal verse w/ organ | 2 - original Haydn a cappella STB trio | 3 - harmonized descant. Free score. The text 'O blest Creator' is translated from the 6th century hymn, Lucis Creator optime, which is attributed to Gregory the Great, and set in the Ambrosian rhythm, iambic tetrameter. Its use was for the evening office of vespers (evensong) during seasons we associate with 'green' liturgical appointments - days after Pentecost and Epiphany. The vesper hymn 'O Trinity of blessed light' is an ancient text, O lux beata Trinitas, often credited to St Ambrose in the 4th C., though scholars are dubious of this attribution. The most common monastic use was for vespers (evensong) for Saturdays and Trinity Sunday. The current English text is translation layered upon translation, and the third verse doxology was acquired in the 18th C, of which there are several variants. The tune BROMLEY is usually credited to Jeremiah Clarke (1674-1707) but the first published use of the tune and setting was Franz Josef Haydn's "O let me in th'accepted hour," a metrical setting from verses of Psalm 69 which appeared in Improved Psalmody (1794). This predates by 15 years the earliest extant version attributed to Clarke, which appeared - more than a century after his death - in organist William Russell's 1809 compilation of Psalms, hymns, and anthems for use in the chapel of the Foundling Hospital. Except for two beats, these were identical three-part settings. Moreover, the earlier volume, Improved Psalmody, includes five other settings of Haydn, along with other settings with citations to Clarke. The editor of the later compilation (Russell) is known to have quoted Haydn in his own work, and numerous indexes of the day cite his authorship of Six anthems adapted from the works of Haydn, etc., dated just one year after the Haydn version appeared. A misattribution to Clarke would be ironic, given that he has been victimized by two notorious misattributions: he is the true composer of two compositions wrongfully ascribed to Henry Purcell: The Prince of Denmark's March (aka, the 'Trumpet Voluntary'), and Trumpet Tune in D, which is actually an organ piece for a trumpet stop. 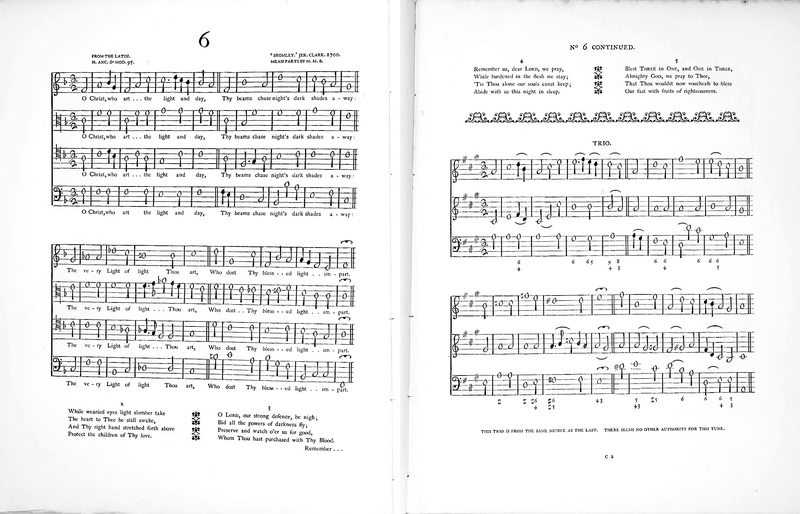 The tune's name is that of a town near London, and its four-part voicing was arranged for the 1920 Yattendon Hymnal by Mary Bridges, including the 1809 trio from Russell, and attribution to Clarke. Haydn Seek, "1794 – The Year part 5 – Sightseeing, Talking & Making Music"
Set includes organ score and separate descant parts for two texts, O blest Creator and O Trinity of blessed light. All the downloadable scores published here are FREE for normal use (services, noncommercial events). But that doesn't mean we would turn you down if you bought us a cup of coffee. Descants and hymn arrangements © David Maurand, except where noted. All rights reserved. The organ descants publicly available here are free for liturgical and noncommercial use under Creative Commons License BY-NC-ND 4.0, except where other licensing arrangements are required due to copyrights belonging to others, but generously made available on this site. Examples of permitted uses: civic events and church services; video or demo of church or choir performance; and fund-raising performance or event for church, nonprofit, or civic organization. Fair use notification here. Paid arrangements are copyright © David Maurand, all rights reserved. Order an instrumental score? Here's where to pick it up.